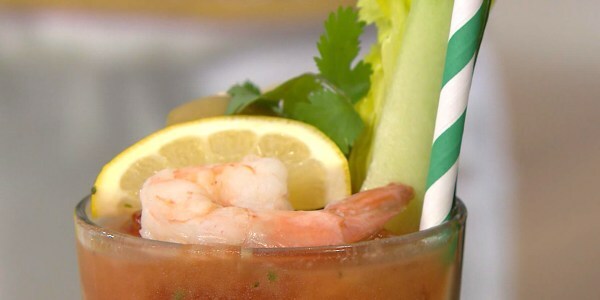 Natalie Morales helps you create multiple meals from this classic and refreshing dish. 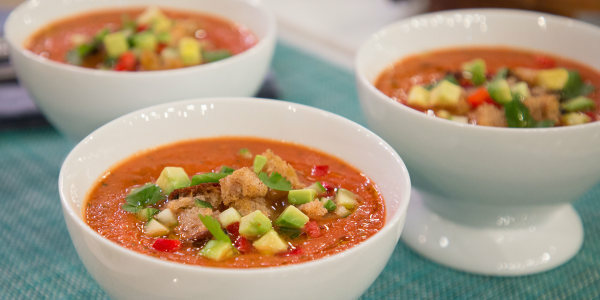 Gazpacho is a traditional, cold soup that originates from the southern region of Spain, and it's a staple of the country's cuisine. It's fresh. It's loaded with veggies (and fruits). It's perfect for hot summer nights — and it's shockingly easy to make. Best of all, it can be translated into three separate culinary creations. For our make-ahead Monday series, TODAY's Natalie Morales, the author of "At Home with Natalie: Simple Recipes for Healthy Living from My Family's Kitchen to Yours," serves up a soup, a delicious fish dish, and even a refreshing drink to wash it all down. Get playful when making this soup by adding a variety of your family's favorite fruits and veggies. 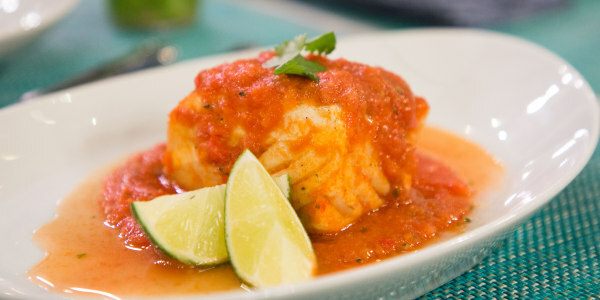 Tomatoes, lime and cilantro give this light fish recipe oodles of flavor. This refreshing drink is easy to make it, but can also be customized to your taste. If you like your drinks thicker, don't puree the soup ahead of time.